One scholar, Elliot Gilliam, found that the professional panel was the most memorable experience. Mr. Gilliam is a KIPP Academy of Opportunity alumnus currently attending Lehigh University and majoring in engineering. He was able to learn more about potential internships and job opportunities tied to his major while speaking to professionals in his chosen field during the event. Overall, Mr. Gilliam found the entire summit to be a very powerful, positive, and judgment-free experience. 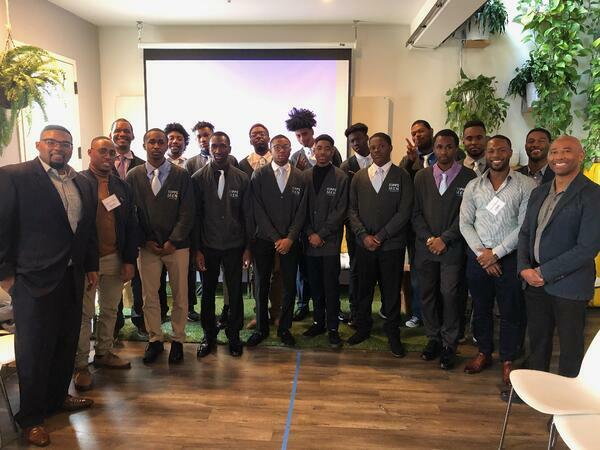 “It made me feel less alone,” he explained, noting that he is often the only person of color in his college courses at Lehigh and could relate to the challenges of his peers and mentors. The latter part of the summit focused on next steps and and a brainstorming session on how to continue to grow the impact of the group. Mr. Gilliam suggested greater parent involvement, and inclusion of even younger Black males for the future. He plans to stay connected with his new network of alumni and mentors, and hopes to be a mentor himself one day.